Love absolutely everything she writes. Quirky characters who don’t fit their assigned gender roles, humor, a touch of romance, and lots of adventure, all while dealing with vampires, werewolves, and London fashions on a floating airship spy school for girls. Duh. Perfect for the teenager in your life. Publisher Description: If one must flirt…flirt with danger. Lessons in the art of espionage aboard Mademoiselle Geraldine’s floating dirigible have become tedious without Sophronia’s sweet sootie Soap nearby. She would much rather be using her skills to thwart the dastardly Picklemen, yet her concerns about their wicked intentions are ignored, and now she’s not sure whom to trust. What does the brusque werewolf dewan know? On whose side is the ever-stylish vampire Lord Akeldama? When a dastardly Pickleman plot comes to fruition, only Sophronia can save her friends, her school, and all of London…but at what cost? Our proper young heroine puts her training and skills to the test in this highly anticipated conclusion of the rousing, intriguing, and always polished New York Times bestselling Finishing School series! 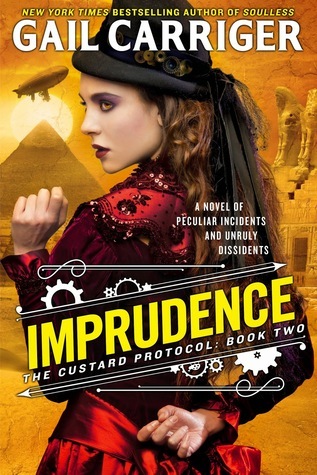 After this, we have to wait until 2016 for the next Gail Carriger book – Imprudence, book 2 of the Custard Protocol series. Ignore the awful cover. I’m sure this will be just as delightful as all her other titles. Sweet romance, kickass characters, with a touch of the supernatural. Definitely for adults. I am a HUGE fan of Jenn Bennett’s Roaring Twenties series (supernatural, paranormal murder mystery romance set in the 1920s! ), so when I saw she was coming out with her first YA novel, well, obviously I have to read this ASAP. Also, the publisher description reminds me of what I like best about Jennifer E. Smith‘s books, and so I’m eager to find another series that can give me that same light-heart feeling while tackling teen romance. Lastly, she has a rad website. Publisher Description: Artist Beatrix Adams knows exactly how she’s spending the summer before her senior year. Determined to follow in Leonardo da Vinci’s footsteps, she’s ready to tackle the one thing that will give her an advantage in a museum-sponsored scholarship contest: drawing actual cadavers. But when she tries to sneak her way into the hospital’s Willed Body program and misses the last metro train home, she meets a boy who turns her summer plans upside down. I know nothing about this book or about this author other than what I read on Goodreads, but it looks like a romp somewhat reminiscent of other children’s books like Mary Poppins and Madame Pamplemousse and the Incredible Edibles, so why not give it a try? With such delicate little illustrations, even if the text is awful, you should have something really cute to look at. Publisher Description: Miss Petitfour enjoys having adventures that are “just the right size – fitting into a single, magical day.” She is an expert at baking and eating fancy iced cakes, and her favorite mode of travel is par avion. On windy days, she takes her sixteen cats out for an airing: Minky, Misty, Taffy, Purrsia, Pirate, Mustard, Moutarde, Hemdela, Earring, Grigorovitch, Clasby, Captain Captain, Captain Catkin, Captain Cothespin, Your Shyness and Sizzles. With the aid of her favorite tea party tablecloth as a makeshift balloon, Miss Petitfour and her charges fly over her village, having many little adventures along the way. Join Miss Petitfour and her equally eccentric felines on five magical outings — a search for marmalade, to a spring jumble sale, on a quest for “birthday cheddar”, the retrieval of a lost rare stamp and as they compete in the village’s annual Festooning Festival. A whimsical, beautifully illustrated collection of tales that celebrates language, storytelling and small pleasures, especially the edible kind! Such a good series! Taking fairy tales and completely exploding the genre with a cybor-sci-fi-fantasy twist to the rewriting of them. So far, we’ve heard Cinderella retold as Cinder, Little Red Riding Hood retold as Scarlet, Rapunzel retold as Cress, and now we’re getting Snow White’s story in Winter. Publisher Description: Princess Winter is admired by the Lunar people for her grace and kindness, and despite the scars that mar her face, her beauty is said to be even more breathtaking than that of her stepmother, Queen Levana. This is the only picture book on this list, and though it is going to be included in another post later (my winter/Christmas book round-up), it needed to have its own place here because it’s so beautiful. I’ve been a long-time admirer of Grahame Baker-Smith ever since he collaborated with Angela McAllister on Leon and the Place Between in 2008. I loved his FArTHER picture book in 2012, and now I’m going to enjoy this US reprint of Winter’s Child. 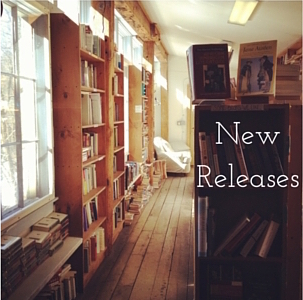 Posted on November 1, 2015 October 28, 2015 by WildlyLivedPosted in Series: new releaseTagged anne michaels, gail carriger, jenn bennett, marissa meyer, nora roberts, november, picture book, Series: new release, winter.